Do you ever go out for breakfast and order a side of home fries, and then once they’re brought to your table, the potatoes are soggy, or soft, or bland? I never order home fries when I go out to eat because this seems to be such a big problem in restaurants! What’s going on? Good home fries are incredibly easy to make, and if you use this method, the ones you cook up at home will make you forget all about the lame home fries you’ve eaten in diners and brunch places. Whenever I make these, I feel like a total pro! 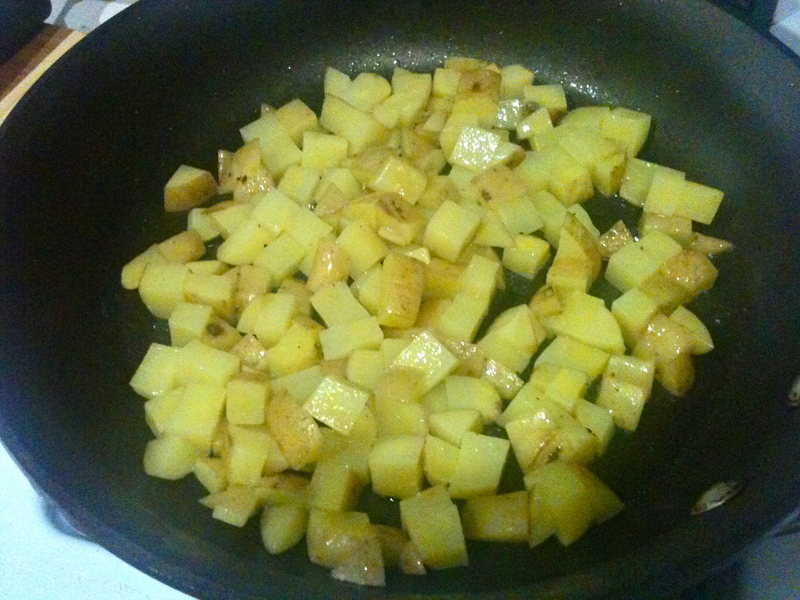 The key to awesome home fries is to cook them in two steps. First, spread the potatoes out in an even layer on a microwave-safe plate. 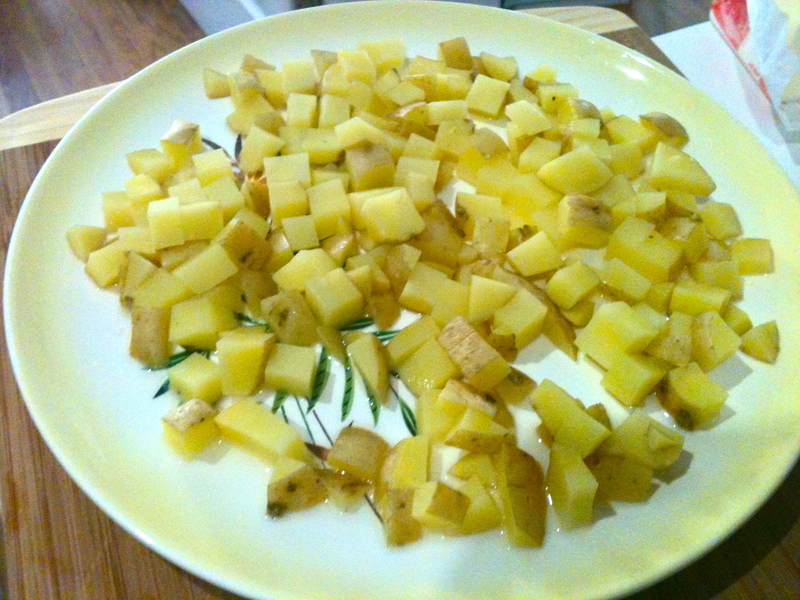 Place the butter squares on top of the potatoes, or drizzle them with oil. Cover with plastic wrap or another microwave-safe plate. 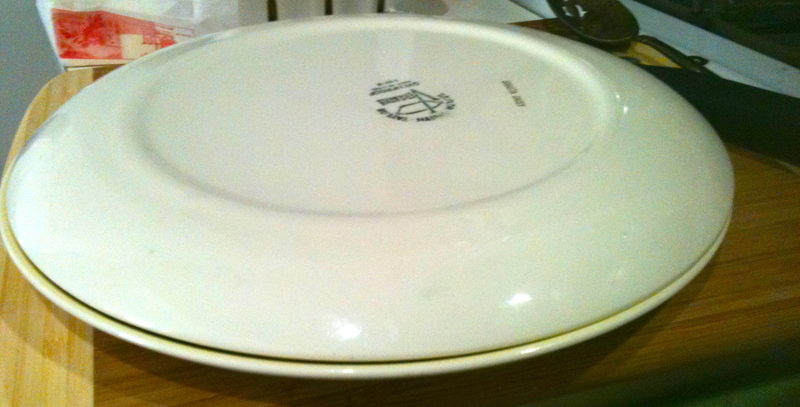 Place the plates into the microwave and cook for 2 1/2 minutes. Heat bacon fat, butter, or oil in a pan on medium high. 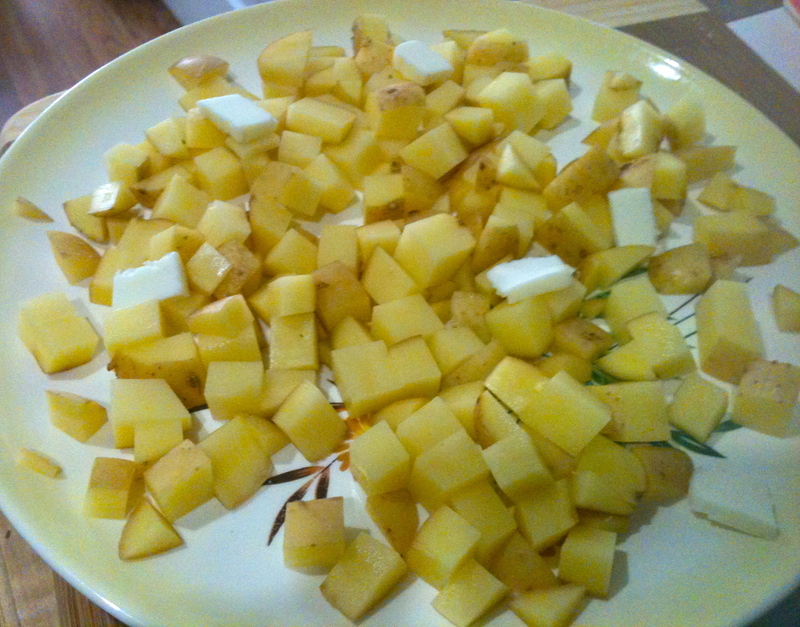 Add potatoes, stir and flatten into a single layer, and then leave them to brown. After the bottoms have browned, stir the potatoes and add the onions. Season with pepper. 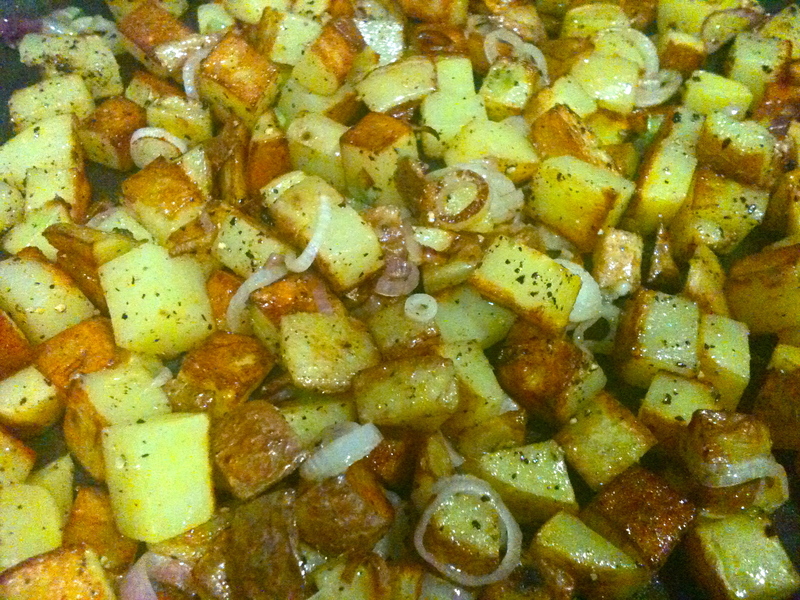 Let the home fries continue to cook until browned to your liking. Meanwhile, poach the egg in hot water with a splash of vinegar. Click here for my favorite way to poach. 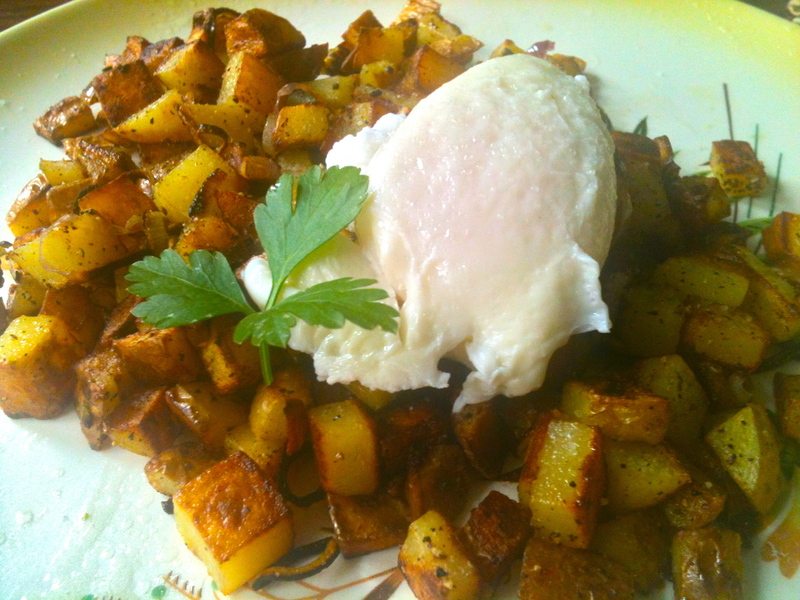 Plate the home fries, place the egg on top, add salt and pepper, and garnish with a bit of parsley. And don’t forget to break the yolk over the potatoes…yum. Previous Warm Lentil Salad with Goat Cheese and Roasted Beets.